Kacey has neurological problems in her hind end. I have been performing laser therapy on her and working on finding exercises that will benefit her quality of life. 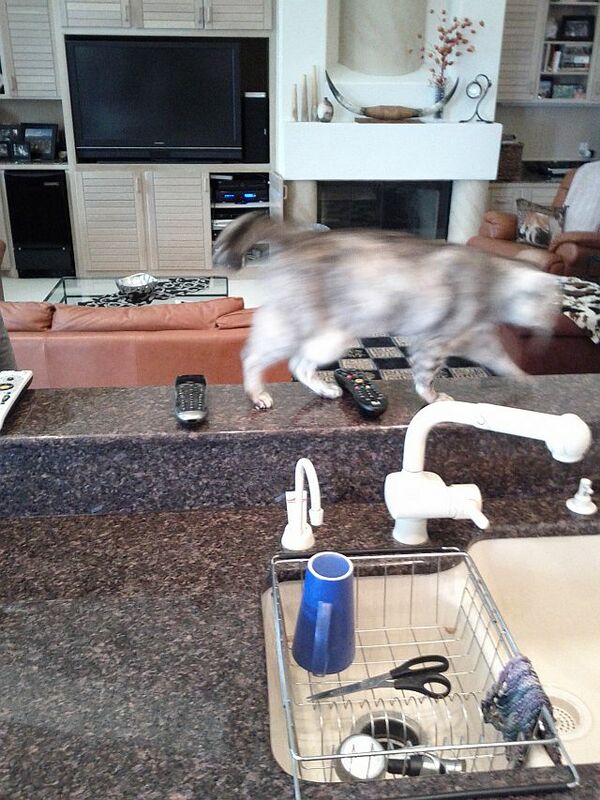 The owner and I discovered during one visit that she would walk one direction across a particular section of bar top to get to some place her kitty brain holds special…so special that she will repeat this action many times. She is working on losing some of her “extra”. I built this for Tiny while I was doing rehab for her broken back. She has a standard cart, but a cart is a poor choice for Tiny and for her situation. This video is one of her first times in the Mover. After working on a few drills a day in her Mover, Tiny ambles down her hallway during week 2 of Mover Mobility 🙂 Drills I prescribed were specific to her neuro capabilities as demonstrated by action and not solely reliant upon diagnostic statements with the exception that I am always attentive to pain signs and diagnostics as relates to damage or injury that I consider when creating exercise protocol.